Gabrielle Thierry (b. 1966) is a French painter living in Andrésy, a small city located west of the Paris region on the river Seine. She studied painting and drawing with J.-Cl. Athané in Paris and followed the course of the Musée des Beaux Arts in Paris. In 1999, she obtained a graduate diploma from Christie's Education (Paris and Cambridge, UK) where she studied the expert identification and presentation of paintings. 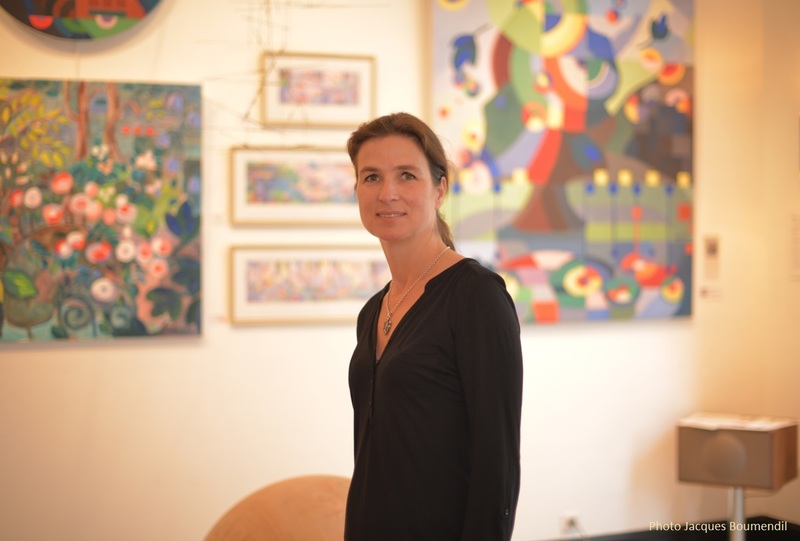 Prior to dedicating her career to painting 15 years ago, Gabrielle Thierry was an engineer specialized in cognitive sciences and expert systems applied to Knowledge Management. Gabrielle Thierry is also an internationally recognized expert on the French Painter Renefer (1892-1957) and author of his "catalogue raisonné" (www.renefer.org). Based on the drawings of Renefer during the Great War in Europe (1914-1918), she helped create a French national contest endorsed by the Ministries of Defense and Education aiming at the remembrance of lives lost during armed conflicts. The national contest, named "Little artists of Memory" is open to school's classes of children aged 10. Based on the same artist's booklet "Carnet de Poilu", an history of the trenches' life written and illustrated by Renefer for his daughter "Belle Petite Monde", Gabrielle Thierry contributed to create the memory project "Renefer/Butler : two artists in the Great War" in Chicago. Students may compare the work of both artists and explore cross-cultural expressions. A Renefer exhibit was also held in the National WW1 Museum of Kansas City in 2014-15. After numerous studies of forms and colors, her research led her to the representation of the Rhythms of landscape. The question of the musicality of landscapes and its pictorial translation took form during the early stages of this work when Gabrielle Thierry decided to concentrate on the interactions between colors/forms and notes/musical composition. After the "Rhythms", Gabrielle Thierry chose to paint while listening to music and created the "Musical Sentences". The pictorial interpretation of musical composition is as spontaneous as possible and relies on cognitive mechanisms that create their own logic of a visual language. With this language, Gabrielle Thierry's paintings aim at the convergence of landscapes and music based on emotion and feelings as in "Variations", and for the recent portraits of musicians surrounded by their colored music. Selected works are available on her website (www.gabriellethierry.com). One of the paintings, "New Landscape of Verdun" has been commissionned by the Historical Association of the General Council of the Meuse, and was inspired by the music of composer and violinist, Lucien Durosoir, one of the renowned musicians who fought during the Great War. The selections generated by musical performance and their correspondence with landscapes, or the related language - also called Synesthesia - was created under the influence of music by Schubert, Bach, Bruckner or Gershwin, as well as contemporary composers and interpreters. Gabrielle Thierry decided to meet and work directly with musicians as well as with scholars specialized in the study of the convergence of the arts. Since 2008, her shows of her painting have been organized, some of them during live concerts in France (e.g. Les 100 ans des Pianos Hanlet, Printemps de l'Orgue - Paris. Gabrielle Thierry has also been invited as a guest lecturer in several meetings (Palazzio Bruzane in Venice, Fermo in Italy, University of Paris, University of Metz in France). In 2014, she takes part in the international symposium "Joined Senses: Synaesthesia in Texts and Images" held at the Universit&eaute; de Bourgogne - Dijon, co-organized with Holy Cross College (Worecester, Mass. US). She presented her painting: "La Valse" of Maurice Ravel, an synesthesic experimentation, and an article has been published in Interfaces 2015. With the pianist and architect, Sonia Ocello Monvoisin, Gabrielle Thierry created in 2017, the association "Space-Sound-Color". This new non-for-profit organization will foster the links between music space and time revealed in architecture and painting. The two protagonists want to share their perceptions and expertise to contribute to architectural and cultural projects. The work of Gabrielle Thierry can be traced back to the initial idea of abstraction in paintings, most notably to the theories of W. Kandinsky when he was member of the "Blaue Reiter" group at the turn of the 20th century. Her creation, "Musicality of the Water Lilies" was made possible after an 18 months' work at the Musée de l'Orangerie in Paris where the masterpieces of Claude Monet have been presented to the public since 1927. Gabrielle Thierry obtained an exceptional authorization to work in front of the original paintings. The exhibition at the Cantor Art Gallery in Worcester in 2017, is a first where the totality of the colored musical scores of the Water Lilies series is be displayed to the public.